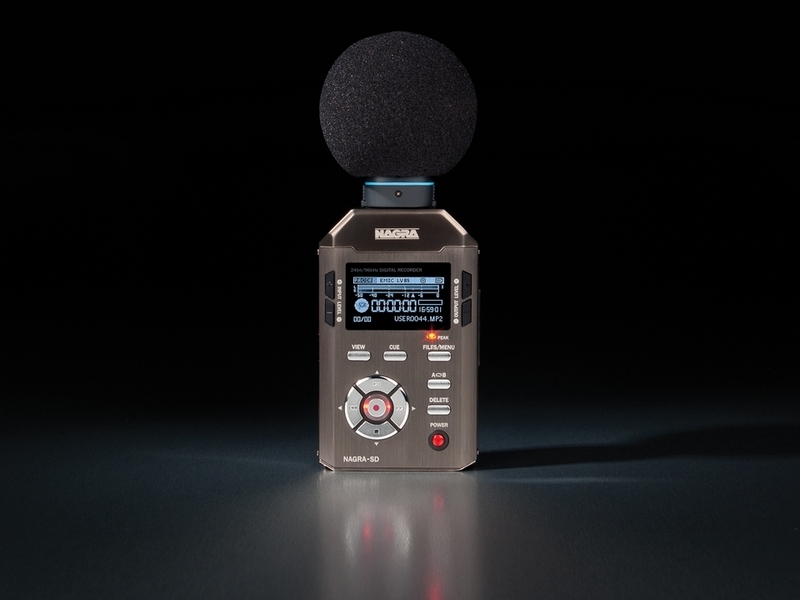 High quality solid-state audio recorder, the Nagra SD is designed initially for journalism, but can be used in any ultra-portable recording situation, and can replace MINIDISK©. Its recording media is a removable SD memory card, there is no limit to the card size allowed. 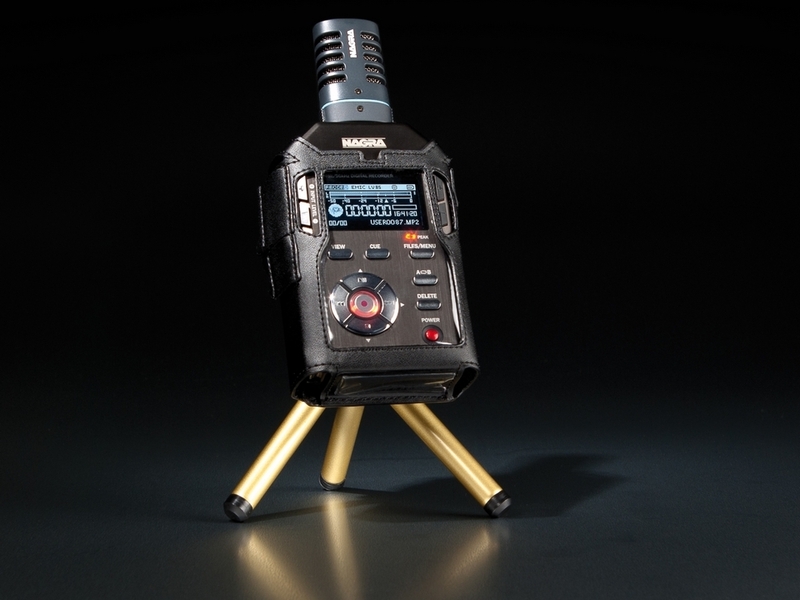 It records PCM Mono or Stereo audio wav files or MPEG compression allowing for longer recording times (e.g. 278 hours on a 4 GB card 32 kbits/sec). 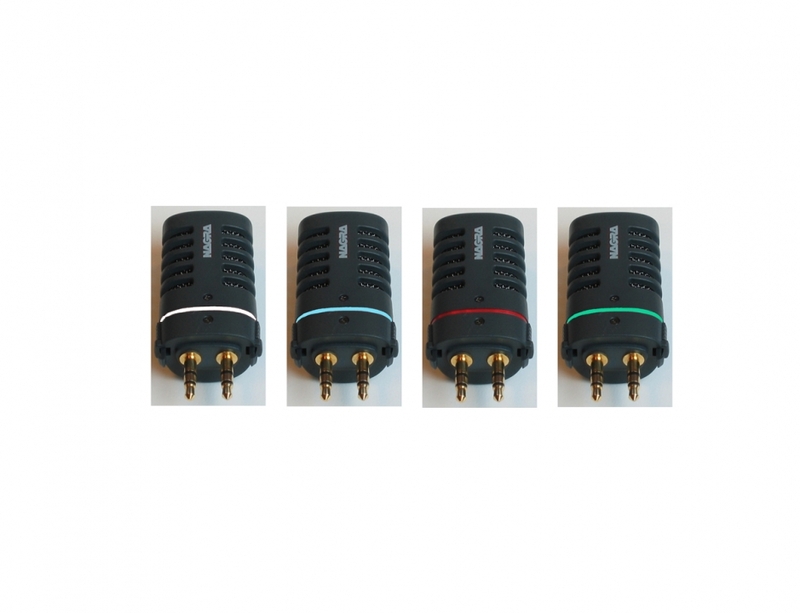 The unit is powered by two “AA” batteries, offering in excess of 10 hours operation. 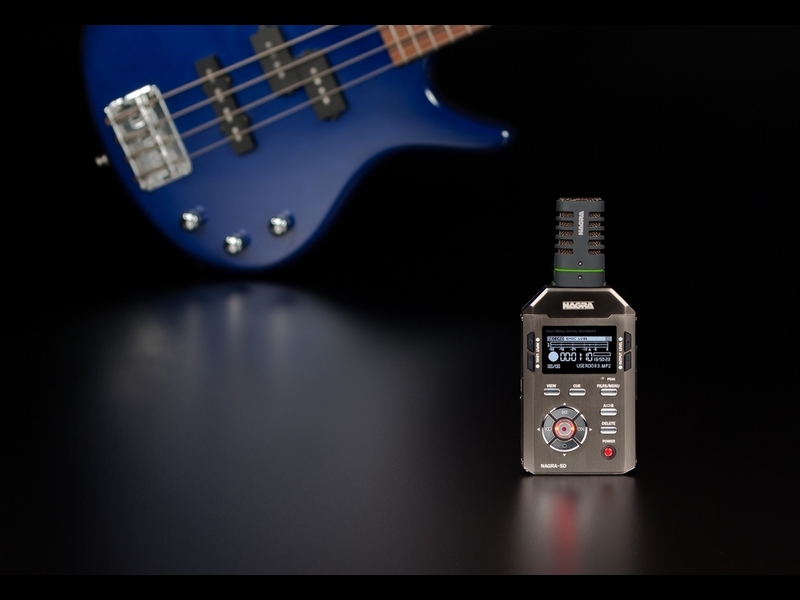 The Nagra SD accepts a range of Nagra-made extra high quality Mono (omni-directional / cardioid) and Stereo (cardioid) clip-on microphones and is also delivered with an external mono XLR microphone cable allowing an external dynamic microphone to be used. 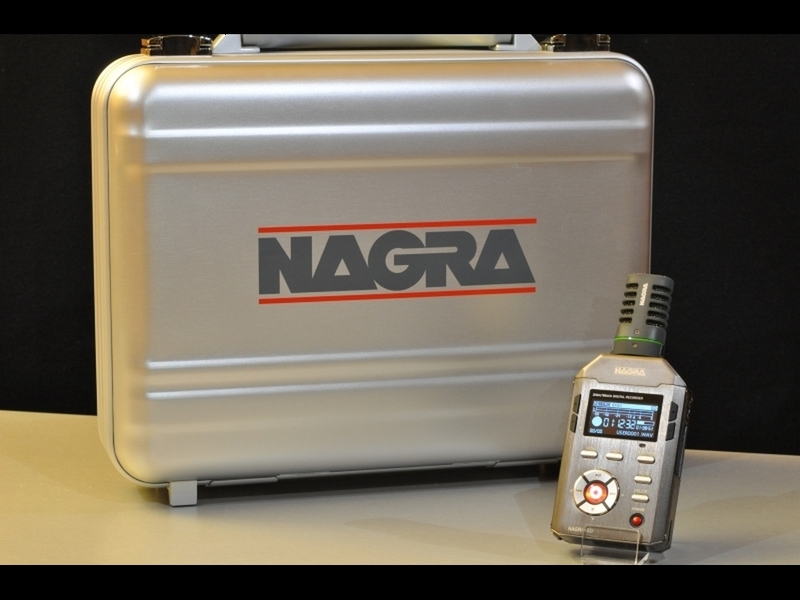 Designed for radio applications, the Nagra SD offers instant start-up, one button recording, automatic level control, internal loudspeaker and a low cut filter. 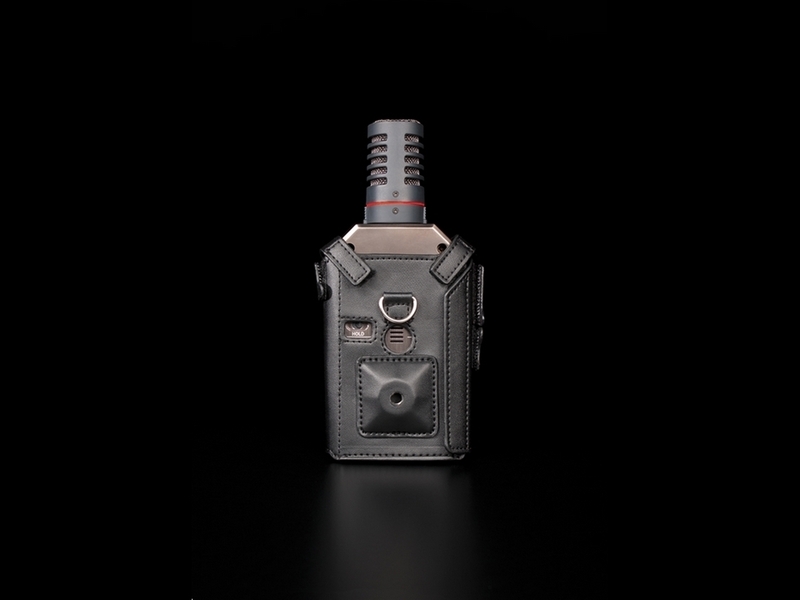 A set of switches on the rear of the recorder give the user rapid access to several important functions without the need to enter the menus. 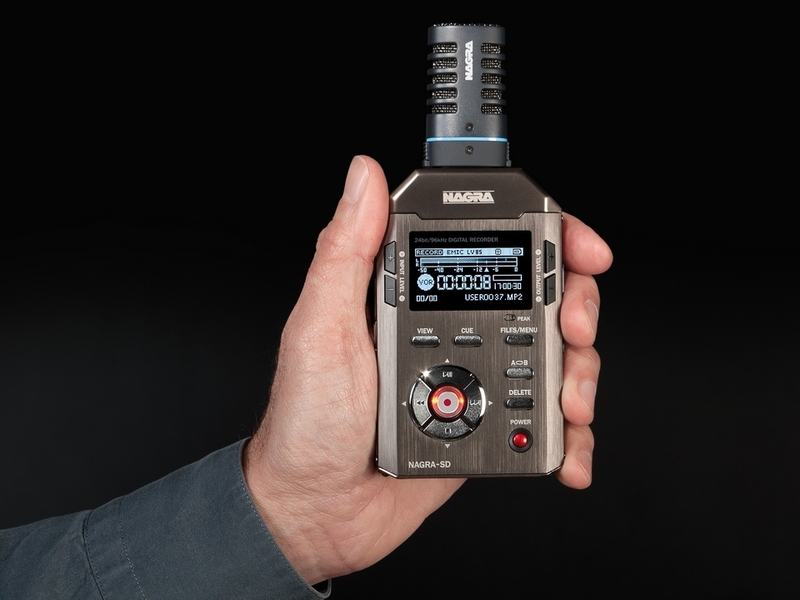 The Nagra SD has a miniature USB 2.0 port. Through this connection, the internal memory appears on the “desktop” as a mass storage device (external drive) of the PC / MAC and requires NO additional software or drivers. It can also be connected to the NAGRA LB for file editing and transfer operations in-the-field if desired. 2070124000 NM-MWS Foam windshield for the clip-on microphones.